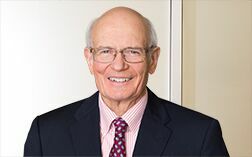 Liv Wernecke is of counsel with more than 30 years experience at Betts Patterson Mines, he heads the Estate Planning and Probate practice area and also is a member of the firm’s Business Transactions Practice Group. Mr. Wernecke’s practice covers estate planning, succession planning for closely held business, real estate and investment entities, compensation and retirement arrangements, probate, trust creation and administration, individual, estate and entity taxation, guardianships, and certain aspects of international trade. He was co-counsel of a successful Washington Supreme Court case upholding the application of the equal protection clause to state taxes and has lectured at Golden Gate University in taxation of S Corporations, partnerships and estates. ‘Top Attorney’ in Washington CEO, “Top Washington 2007"
He served in Vietnam in 1966-1967 as an Army officer.